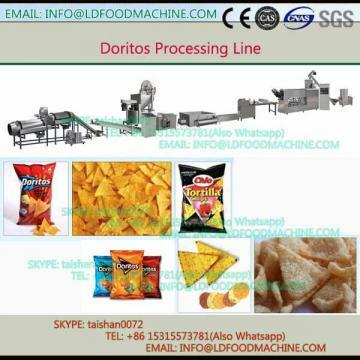 This automatic crisp chips tortilla processing lineuses rice powder and corn powder as main raw materials which are extruded, expanded, and pressed to be the exquisite thin chip, and then punched into round,, triangle, hexagon, etc. 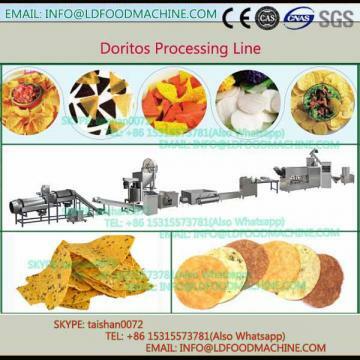 shapes by the punching shaper, after dried and seasoned, the finished crisp thin chip with different tastes come into being. This process line gets extruding curing, steaming, and shaping together, make the production simplified with low consumption and high automation. The grinded waste chip can be reused which has reduced the production cost. This process line is the best environment protection equipment.